Hi Cavepainter. Thanks for stopping by. That sounds like pretty good soba recipe! Reminds me of my business trip to Japan in the 90’s. For me, one of the best parts of that trip was getting to try all the local foods. I may not like it all but I’ll try about anything at least once. I knew you were a go getter, Earl. You only go around once. Might as well try a few things along the way. Life is more interesting that way! I have no idea what soba is. Looks like rice noodles? Hi Paul. 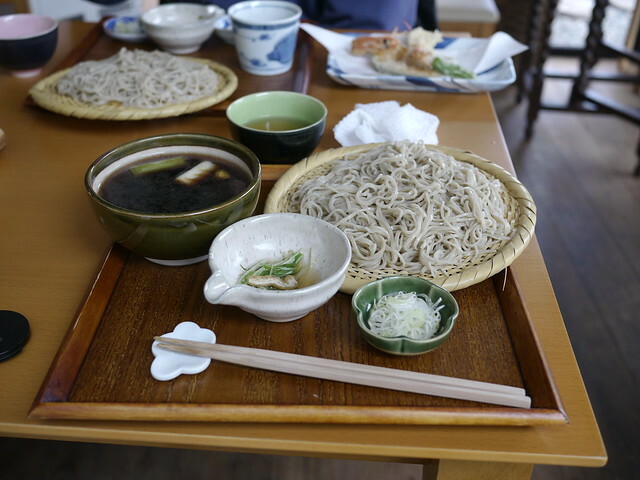 Soba is buckwheat noodles. It is a long thin noodle served in/with broth and usually some vegetables or seafood/meat. Good stuff!